To the north of Sofia, in Diana, AKF is supporting cocoa farmers to improve the quality of their crops and help them access markets. Currently AKF supports 5,500 farmers in Diana and aims to scale this into the tens of thousands over the next five years. Initially starting in the north-west region of Sofia, AKF’s activities have more recently expanded to the Diana, Sava, Itasy and Analamanga regions. 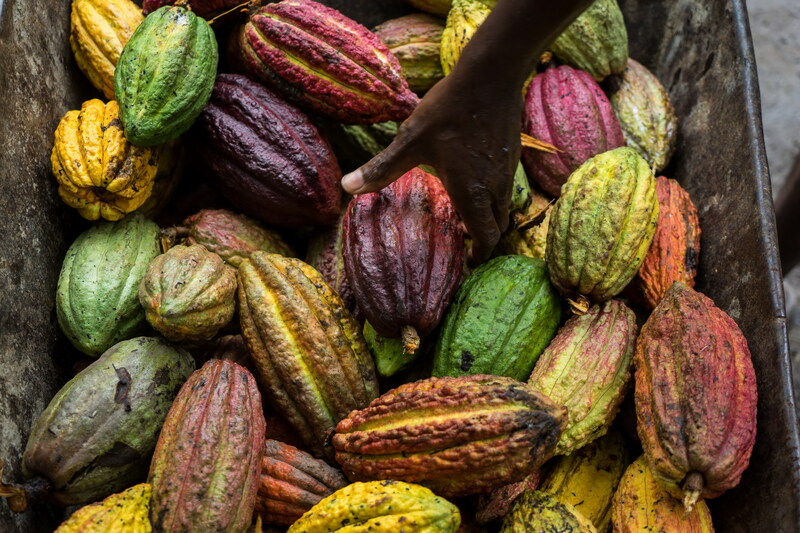 For example, to the north of Sofia, in Diana, AKF is supporting cocoa farmers to improve the quality of their crops and help them access markets. Currently AKF supports 5,500 farmers in Diana and aims to scale this into the tens of thousands over the next five years. In addition to cocoa, other cash crops such as Artemisia (used in anti-malarial drugs) are being introduced to improve farmers’ incomes. Nutrition is also becoming a key focus with the introduction of sweet potatoes and “edible forests” (with banana trees, jackfruit and breadfruit), which not only add nutritious fruit and vegetables to the rice staple but also improve crop diversity and soil quality. Environmental improvement efforts are complemented by the introduction of conservation agriculture techniques aimed at protecting natural capital and mitigating against some of the effects of a changing climate such as hotter summers and wetter winters.